The ARS CryoTable featuring an ultra-low vibration interface. 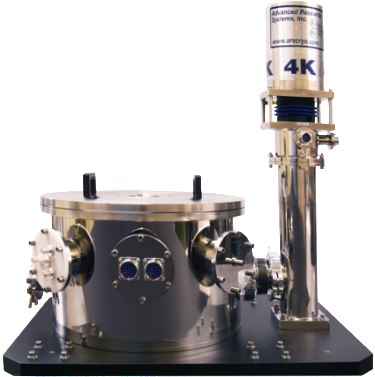 Advanced Research Systems is proud to present a superior affordable solution to replace liquid cryogen-based AFM/SNOM platforms. The ARS CryoTable features a large cryogenic sample area where the researcher can install and customize their near-field optical system. With user installed equipment the AFM topography noise reduced to 0.3nm. To read more on the ARS CryoTable and to view topographic and near field images captured with this system, please view the linked white paper.